Denmark and Zimbabwe are countries that are worlds apart, but share similarities when it comes to populist right-wing politics. Zimbabwe is run by a now 88-year-old dictator named Robert Mugabe. On the other hand, for a decade, Danish politics was controlled by a right-wing populist party called Dansk Folkeparti (DF), until recently headed by 65-year-old Pia Kjærsgaard. Mugabe celebrates his birthday on February 21. Kjærsgaard blows out her candles two days later, on February 23. There is a mere 23-year difference between these two unlikely politicians. I am sure both Mugabe and Kjærsgaard would be reviled by this comparison, but freedom of speech makes it my right to do so. Mugabe deems himself superior to the white man, and Kjærsgaard seems to deem herself superior to anyone who is not Danish – particularly folks with a non-Western background. Yes, she is now retired as DF’s leader, but that’s not the point. She has railed against non-Western immigrants in the same manner that Mugabe has railed against Westerners. Kjærsgaard and her party came to power by making foreigners their scapegoat for all of Denmark’s social and economic ills. She seems to be afraid that Denmark will be ‘colonised’ by non-Western immigrants. Kjærsgaard has therefore been determined to tighten Denmark’s immigration rules in order to make it impossible for non-Western immigrants to enter the country. Over the past decade, Kjærsgaard promulgated policies that have led to deteriorating human rights and, in some cases, abuses of human rights, as in the case of ‘stateless Palestinians’ who were wrongly denied citizenship. This is not different from what Mugabe has done in Zimbabwe over the past decade. In Zimbabwe, the white minority were a small group, but they wielded enormous economic power. In Denmark, the average expatriate contributes more money to the state coffers than the average Dane. In Zimbabwe, when the whites started promoting an opposition party called MDC, Mugabe saw a grand opportunity to expel them from the country and take over their land. Likewise, Kjærsgaard used a similar tactic in Denmark when a few forced marriages occurred within the immigrant population. She saw this as a grand opportunity to campaign for the removal and expulsion of non-Western foreigners from Denmark. Kjærsgaard and her party went as far in their desperate attempts to get rid of outsiders as to create a generous fund for those non-Western immigrants who wished to be repatriated back to their countries. Likewise, Mugabe originally tried to buy the white man’s lands, but none were willing to sell. And in Denmark the majority of non-Western immigrants refused to be repatriated, even with the prospect of a generous financial incentive. In Zimbabwe, Mugabe does not consider Zimbabwean-born whites as pure Zimbabwean nationals. He prefers to call them ‘imperial offspring’. A similar trend was also rife in Denmark, and even to this day, those with a non-Western background who manage to become Danish citizens are called nydanskere (‘new Danes’) or ‘second-generation immigrants’ rather than just ‘Danes’. In the past decade, particularly before the 2011 Danish elections, we saw Kjærsgaard use her influence to silence critics. We saw her demanding the end of the transmission of a certain “controversial” television station. Mugabe, on the other hand, has forced dozens of newspapers to close. 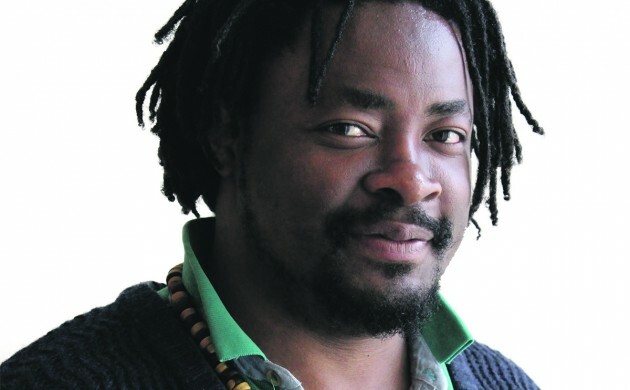 Journalists, intellectuals and artists who criticised his regime have been forced into exile. Those who were less fortunate endured savage beatings and unmarked graves. In Denmark, however, one could argue that human rights are somewhat better functioning compared to Zimbabwe, and no savage beatings have taken place. But one could also argue that non-Western immigrants in Denmark endured mental torture for a decade due to Kjærsgaard’s far-right political rhetoric. So now I have come to the end of this ironic little column, and one might be wondering what my motive was for publishing this information. Well dear reader, I couldn’t help but notice how the tactics of right-wing populist parties are so similar in fashion.